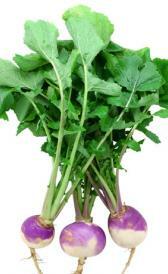 Unprepared frozen turnips: In food has a low quantity of food energy, protein and total lipid. Raw turnip greens: High in vitamin c, folate, total and food folate and low in food energy, protein and total lipid. Canned turnip greens: This food is low in food energy, protein and total lipid but Canned turnip greens has vitamin a in high quantity. Canned mixed vegetables: Canned mixed vegetables is low in food energy, protein and total lipid. Raw (basella) vinespinach: This food has a low quantiti of food energy, protein and total lipid but has a high quantity of vitamin c, folate, total and food folate. Raw watercress: This food has a low quantiti of food energy, total lipid and carbohydrate but has a high quantity of vitamin c, vitamin a and beta-carotene. Raw winged bean leaves: Raw winged bean leaves is high calcium, vitamin c and thiamin. On the other hand. is low in total lipid, total dietary fiber and total sugars. Raw winged bean tuber: This food has a low quantiti of total lipid, total dietary fiber and total sugars but has a high quantity of copper. Raw yam: Raw yam is high potassium. On the other hand. is low in protein, total lipid and total sugars. Raw yambean (jicama): Raw yambean (jicama) is low in food energy, protein and total lipid. 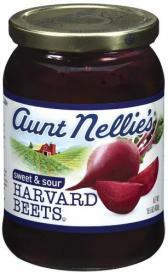 Canned harvard beets: In food has a low quantity of protein, total lipid and total sugars. Canned pickled beets: Canned pickled beets is low in protein, total lipid and calcium. Raw borage: Raw borage is high vitamin a. On the other hand. is low in food energy, protein and total lipid. Freeze-dried chives: This food has a low quantiti of water, total sugars and sodium but has a high quantity of protein, ash and carbohydrate. Raw dock: High in magnesium, vitamin c and vitamin a and low in food energy, protein and total lipid. Raw eppaw: Raw eppaw is low in total lipid, total dietary fiber and total sugars. Raw drumstick pods: High in vitamin c and low in food energy, protein and total lipid. Raw scotch kale: This food is low in food energy, total lipid and total sugars but Raw scotch kale has calcium, magnesium and vitamin c in high quantity. Freeze-dried parsley: Freeze-dried parsley is high protein, ash and total dietary fiber. On the other hand. is low in water, total sugars and folic acid. Canned jalapeno peppers: High in ash and sodium and low in food energy, protein and total lipid. 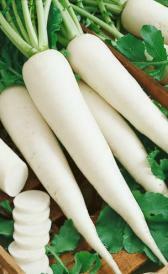 Raw white icicle radishes: In this food there are some nutrients that are found in low quantity, for example food energy, protein and total lipid. Freeze-dried shallots: High in ash, carbohydrate and total dietary fiber and low in water, total lipid and sodium. Canned carrot juice: This food has a low quantiti of food energy, protein and total lipid but has a high quantity of vitamin a, vitamin a and alpha-carotene. Spinach souffle: This food is low in total dietary fiber, total sugars and niacin but Spinach souffle has beta-carotene, lutein+zeazanthin and vitamin k in high quantity. Dried agar seaweed: This food has a low quantiti of water, total lipid and vitamin c but has a high quantity of carbohydrate, calcium and iron. Raw spirulina seaweed: This food is low in food energy, total lipid and carbohydrate but Raw spirulina seaweed has copper in high quantity. Dried spirulina seaweed: This food has a low quantiti of water, folic acid and vitamin b12 but has a high quantity of protein, ash and iron. Raw wakame seaweed: Raw wakame seaweed is high ash, magnesium and sodium. On the other hand. is low in food energy, total lipid and total dietary fiber. Potato pancakes: High in potassium, sodium and polyunsaturated fatty acids and low in total sugars, folic acid and vitamin b12. Raw sprouted radish seeds: High in folate, total and food folate and low in food energy, carbohydrate and total dietary fiber.